Just because someone gives diet advice, doesn’t mean that advice should be followed. If you come across a diet that suggests skipping meals, having cheat days, and eating low-fat foods, we suggest ignoring those recommendations completely. Here are four diet tips you should make sure you’re not following. The old-school thought is that fat makes you fat, but following a low-fat diet won’t help control your weight or become healthier. It’s a little more complicated than that. Bad fat makes you fat, but good fat is well … good for you. Good fats come from sources such as fish, nuts, or olives. They tend to have a high omega3 content. Bad fats are usually refined versions of vegetable fats like soy, corn, or peanuts. These refined, bad fats tend to be higher in omega-6 and are very susceptible to oxidation during processing, making them damaging to our bodies. If you’re cutting fat to lose weight, think again. An eight-year trial, which included almost 49,000 women, found virtually identical rates of heart attack, stroke, and other forms of cardiovascular disease in women who followed a low-fat diet and in those women who didn’t. What’s more, women on the low-fat diet didn’t lose — or gain — any more weight than women who followed their usual diets. The no-carb and low-carb myth has been perpetuated for years. Yes, carbohydrates can make you fat if eaten in excess, as can any other food, but cutting or severely limiting them can derail your weight-loss goals. 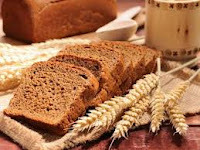 One of the reasons that whole grains prevent weight gain and aid in weight loss is the fiber content. Researchers at Brigham Young University in Utah followed the eating habits of middle-aged women for nearly two years and found that those who increased their fiber intake generally lost weight. Women who decreased the fiber in their diets gained. The key is to stick to whole grains and avoid refined grains. Refined grains are lacking in fiber content and usually contain added sugar —both of which contribute to weight gain. It doesn’t matter if you are trying to lose weight or simply live a healthy lifestyle; either way, your diet should be balanced. That means occasional sweet treats, but that does not mean you should dedicate a whole day to “cheating” on your diet. Overeating too much in one day can affect your body’s level of ghrelin, the primary hunger hormone that works with leptin (the hormone that tells your brain you’re full) to keep your hunger and fullness in check. “This could actually make you hungrier,” Marjorie Nolan, registered dietitian and spokeswoman for the Academy of Nutrition and Dietetics, told Self. Depending on your definition of “cheat day,” you could very well eat enough calories to gain back the weight you lost throughout the week. All-in-all, an extremely strict diet and one free-for-all day isn’t sustainable. You’re more likely to stick with a balanced diet that allows for a small amount of wiggle room every day. If cutting calories equals weight loss, then skipping a meal or two is the best way to get there, right? Probably not, and in fact, foregoing those meals could actually backfire on you. Researchers found that skipping meals during the day and eating one large meal in the evening resulted in potentially risky metabolic changes. The meal skippers had elevated fasting glucose levels and a delayed insulin response —conditions that, if they persisted, could eventually lead to diabetes. To make matters worse, without a new supply of calories, your system shifts into starvation mode in an effort to conserve energy. Your metabolism slows, so the food you do eventually take in isn’t burned off very efficiently. 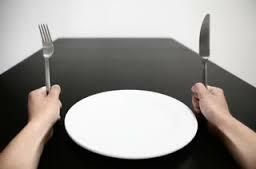 Instead of eliminating entire meals, sit down and look at what you’re really eating throughout the day. Aim for a balanced, high-quality diet that consists of a wide range of nutrient-rich food.